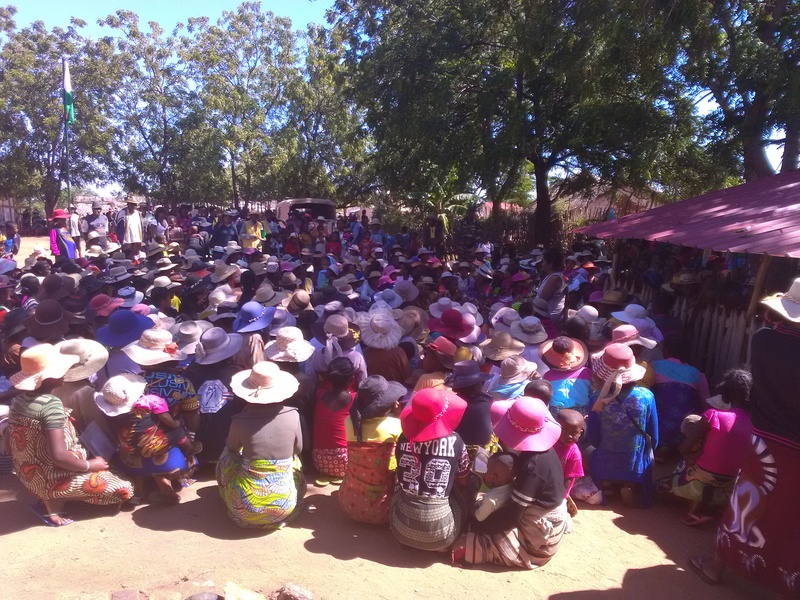 Last September Andry Lalana Tohana (ALT Mg) reported their activities of the famine relief programme in Androy over a six month period from February to August. Despite delays through administrative, logistical and cultural challenges, ALT Mg’s team were able to successfully register 1476 beneficiaries as eligible for cash transfers. They also set up 132 Committees for Social Protection (CPS) and trained 69 Mother Leaders. 1238 people received cash transfers for their families with a value of 158,880,000 Ariary and a total of 7428 family members benefitting in total ( 1238 x 6 the average family size). Those who were eligible but had not yet received payments due to administrative problems have since been helped to receive payments. Additionally new income generating activities have been set up to provide for longer term food security. “The funds that come from you help us a lot. Many agents of the FSS* program cannot cope – the budget is not viable as there are no running costs included; but thanks to the additional funds coming from UK we have been able to accomplish all the activities of this FSS program” Hanitra Raharimanana, Director, Andry Lalana Tohana (ALT Mg). In August 2017 the team commenced income-generating activities and is now training local CPS groups in a variety of skills to increase their longer-term food security and resilience. The groups, which are made up of the same beneficiaries registered for cash transfers, receive a ‘Fonds de Redressment” (Recovery Fund) of 180,000 AR (per person) and decide how they want to use the funds to generate income. The ALT Mg team works with ‘Mother Leaders’ and each respective group to explain the objectives of the “Fonds de Redressment” and how this part of the funding would work; also to ascertain the Groups’ project goal/activities. The ALT Mg team were trained in animal husbandry so they can accompany and support the groups. 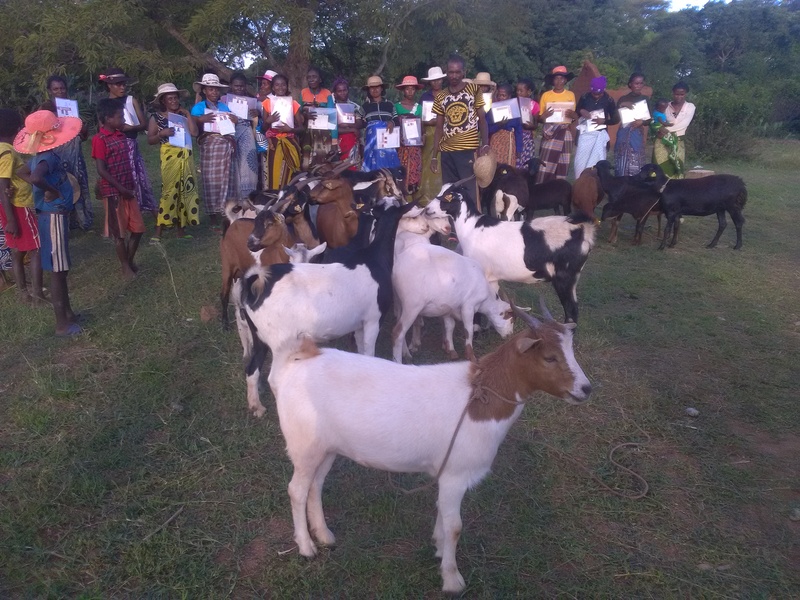 For example, if beneficiaries decide to raise goats then the funds are used for the purchase. 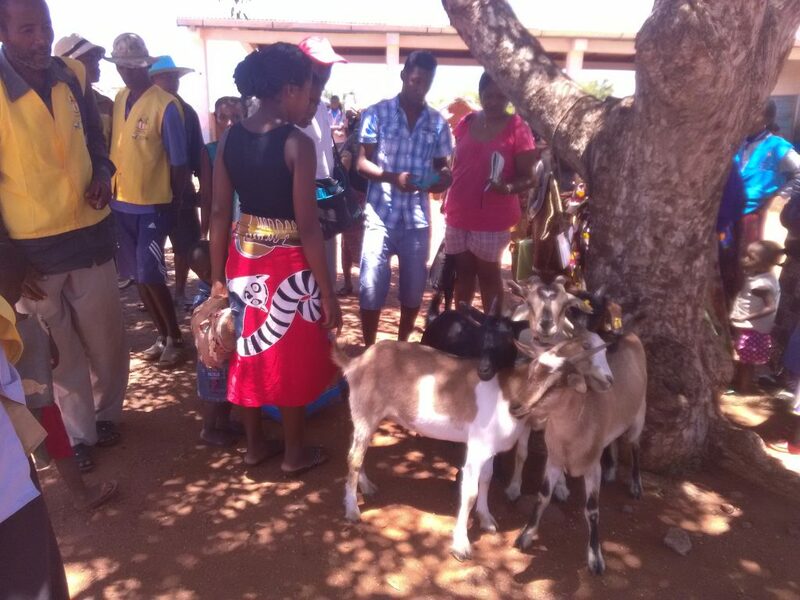 Then the animal is taken to the vet for vaccinations and training is received on how to care for the animals. The evolution of the training will take place over two years and results will be monitored. The first tranche of this fund payment (90,000Ar) for beneficiaries was paid in September 2017. By the end of the reporting year (to FID) over 1400 beneficiaries had received their ‘Fonds de Redressement’ . Most had chosen to rear goats or sheep and 1433 reported success (just 18 reported difficulty, such as lost animals). This income generating activity will help provide food stocks as well as income in the future. 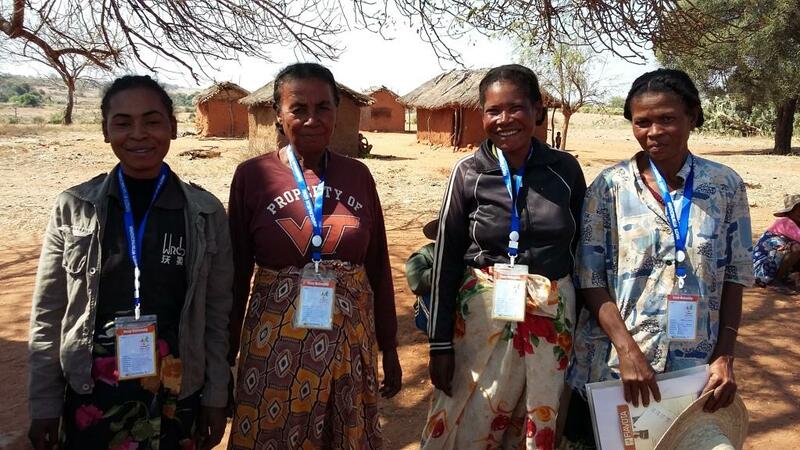 ALT UK has raised additional funds for the famine relief effort, and continues to support ALT Mg as part of its strategy to strengthen local civil society with help from Aldama Foundation.